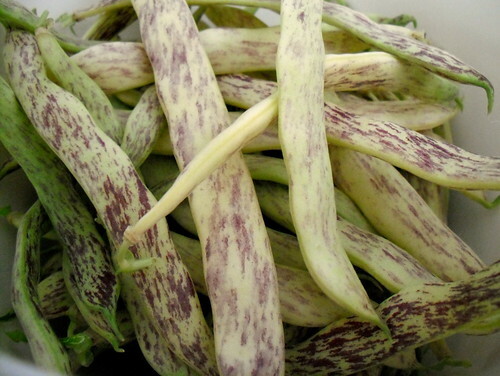 If you have a garden, you need to grow this variety of green beans. Wait, I take that back. Even if you don’t have a garden, you should grow these beans. We harvested half a pound of Dragon Tongue green beans on Saturday and roasted them in olive oil with salt and pepper. They were AMAZING. I’ve never seen my husband eat vegetables with such voracity. He had to stop himself from eating them all. We thought they tasted a bit like fried okra, and definitely nothing like any green bean we’ve ever had before (in a good way). So, in conclusion, grow these green beans. You won’t regret it.